Want to delete TV shows from iPhone but do not know how? This guide will tell you how to delete TV shows from iPhone 7/6s/6/5s/5/4s/4 via different methods. 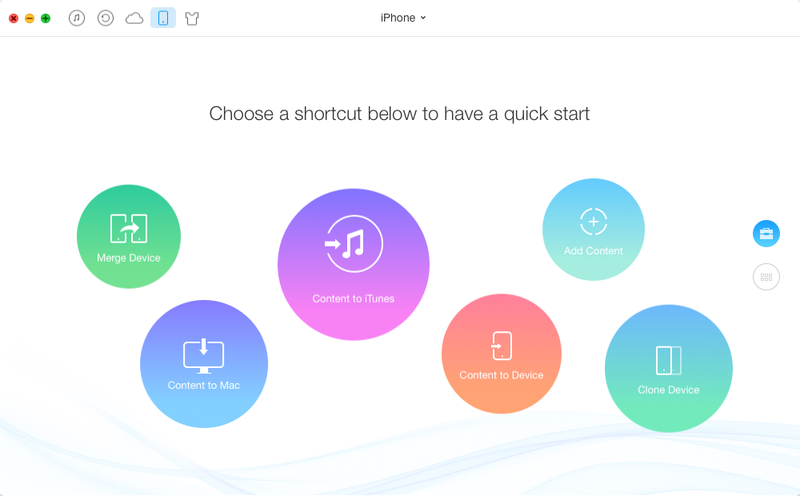 This professional iTunes alternative can help you manage iPhone content with ease. Download it prior to save your time and follow the steps to delete TV shows off iPhone in minutes. We can easily download TV shows and TV episodes on iPhone/iPad and watch them anytime we want. However, the downloaded TV shows can take so much room on the device. Although the new iPhone 7 is starting at 32GB, it can also run out of storage space for the crowded TV shows as time goes by. So here in this guide we will show you 4 ways to delete TV shows from iPhone 7/6s/6/5s/5/4s/4 to free up space. In case you may miss the TV shows in the future, you can transfer TV shows from iPhone to computer or to external hard drive as backup. Step 1. Open AnyTrans > Connect your iPhone to Mac/PC computer via USB cable > You will see the screen shown below. Step 2. Scroll down and you will see the categories screen > Click on Videos > Choose TV Shows. Step 3. Select the TV shows you want to delete > Click on Trash icon at the top-right corner. 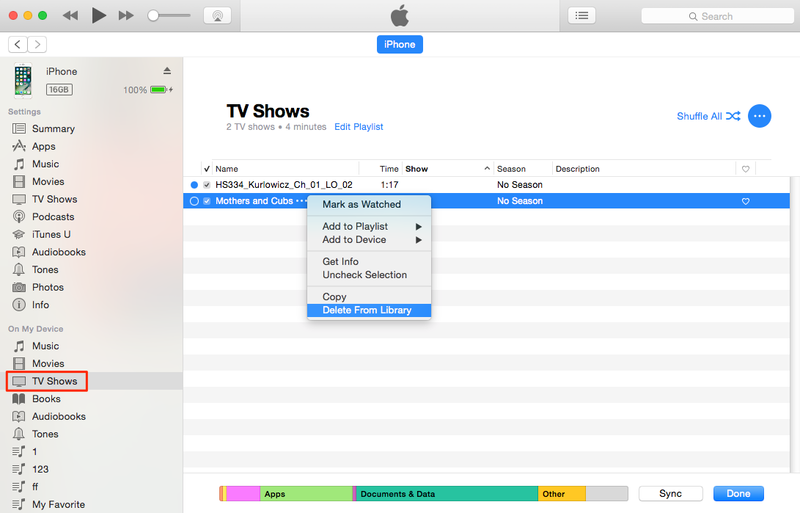 AnyTrans can also help you add TV shows to iPhone easily, and it will not erase any existing data on device. 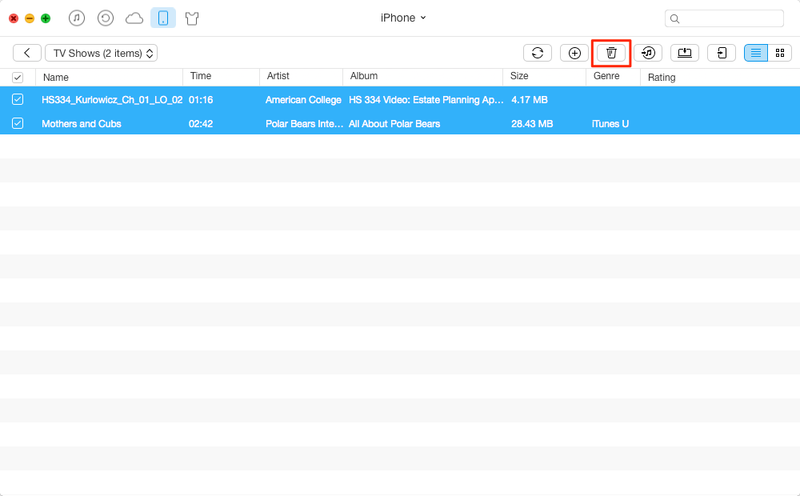 Besides TV shows, you can also manage other 20 + types of iPhone data with the help of AnyTrans. Step 1. Open iTunes > Plug in your iPhone > Click on Device icon. Step 2. Select TV Shows under On My Device. Step 3. Choose the TV shows you want to remove > Right-click > Click on Delete. Step 1. Open Videos app on iPhone. Step 2. Tap TV Shows on the bottom > Tap Edit on the top-right corner. Step 3. Delete the TV shows > Tap Done. Step 1. Go to Settings app > Tap General. Step 2. 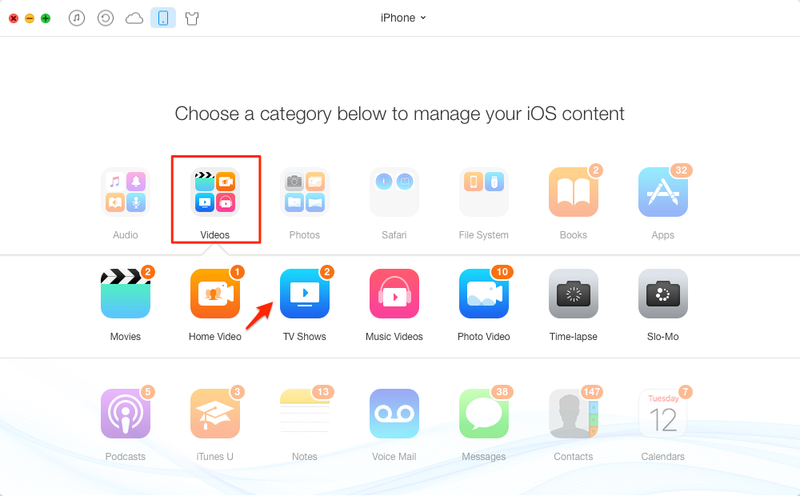 Choose Storage & iCloud Usage > Manage Storage > Scroll down and tap Videos. Step 3. Find the TV shows you want to remove > Swipe left over the TV shows > Tap Delete. Hope this guide can help you delete TV shows from iPhone 7/6s/6/5s/5/4s/4 successfully. If you like this guide, please share it to help more people. And do not forget to download AnyTrans to have a try, it will not let you down.